Psst – students get a FREE 6-MONTH TRIALS plus 50% off once the trial is over! Double Psst– don’t forget to nab your 4 months of Amazon Music for 99 cents too! if you’re a new Prime member or just haven’t signed up for Amazon Music yet. With this being the 4th annual Prime Day, and having thousands of you shopped the sales I recommended last year, I’m feeling like a bit of a veteran this time around and I’m here to share with you my secrets. These are the items that I know parents will especially appreciate the deep discount on! Hot Tip: There’s a lot of hype around this sale but the savings are real so it’s worth it to think about what you have coming up… Need stuff for traveling or camping? Need gifts for birthdays, new college students or summer weddings? Want to get a jump on back-to-school shopping? Finally, don’t be afraid to get in there and get some of your Christmas shopping done in July! So many of my friends have one of these and I have coveted them for so long- I was really, really hoping it would be included in Prime Day this year! This wall-mounted, cordless wonder basically gives you the power of a vacuum with the ease of a broom (minus having to bend over to sweep up your pile). It is so incredibly handy for picking up kid messes, especially all those crumbs they leave behind in the kitchen. It’s an investment for sure but so totally worth it if you can swing it! Everyone knows that Vitamix are the gold standard in making truly creamy smoothies and soups. As such, they can be a real game changer in a lot of people’s quest to live healthier. Grab your chance to get one for as low as $189.95 certified refurbished and $297.95 brand new today. This is truly and amazing deal! Every time we go on vacation I realize how valuable good luggage is (and that I don’t have enough). This deal is truly AMAZING at 64% off. I highly recommend grabbing it while you can! The Instant Pot was the breakout hit of Prime Day, with more than 200,000 people nabbing one. So, of course, it’s back and you once again have the chance to get your hands on one if you didn’t last year – and there are some new features on the Duo model that might just make you happy you waited. We got ours last year and I absolutely love it… If you’re not familiar, this is a slow cooker, rice cooker, pressure cooker, steamer, yogurt maker, etc, all in one. The absolute genius of it is how quickly it cooks things, even from frozen! So unlike a crockpot, you can stick stuff in at 4:00 and still have it ready at dinner time. And, of course, if you went ahead a thawed out dinner than you’ll really be eating in no time. Plus, there’s a button for most things you want to cook… So you basically just push the button for “poultry”, “meat”, “beans/chili”, etc. – so convenient! This latest model has some nice really nice updates too, including the latest 3rd generation technology, the microprocessor monitors pressure, temperature, keeps time, and adjusts heating intensity and duration to achieve your desired results every time. The standout of the Duo model, though, is that you get so much more control with two pressure cooking settings (hi and low) as well as low, med, or hi settings for both sautéing and slow cooking. Check out the reviews and video at the link above and you’ll be sold. I jumped on the robot vacuum trend last year and couldn’t be happier that I did. This is an AMAZING price from the industry leader, iRobot. Plus, I’m loving that it’s recommended for picking up pet hair- a big must in my house. Another opportunity to try a brand you’ve had your eye on for a long time! Fitbit was one of my most popular Prime Day selections last year and I have no doubt it will be this year as well. This is one sleek looking fitbit and an amazing price to nab one and start getting more active and more healthy! A Keurig that can make the lightening fast coffee it’s known for PLUS lattes and cappuccinos? Yes, please! Perfect for at home, in a dorm room, or an office- this express coffee maker plus milk foamer will make a great gift for so many people on your Christmas list this year. Note: This sale seems to be shorter than the rest of Amazon Prime Day sales so grab it while you can! So many good deals if you need baby gear! Do not miss!! Note: It looks like the price is $109 at first glance but the fine print says it’s actually $74.99! 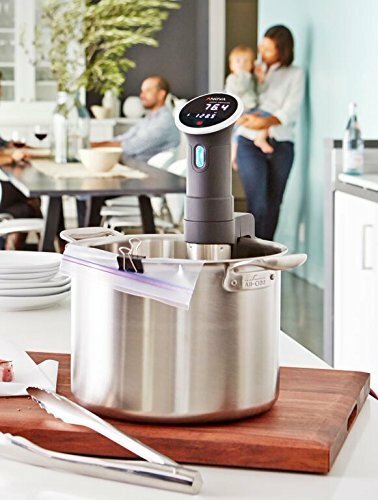 This might just be the Instant Pot of last year… Although it doesn’t cook things as quickly, people are going nuts over the convenience of cooking with Sous Vide and the quality of the food it makes. Think slow cooker convenience with a much more tender and flavorful result. 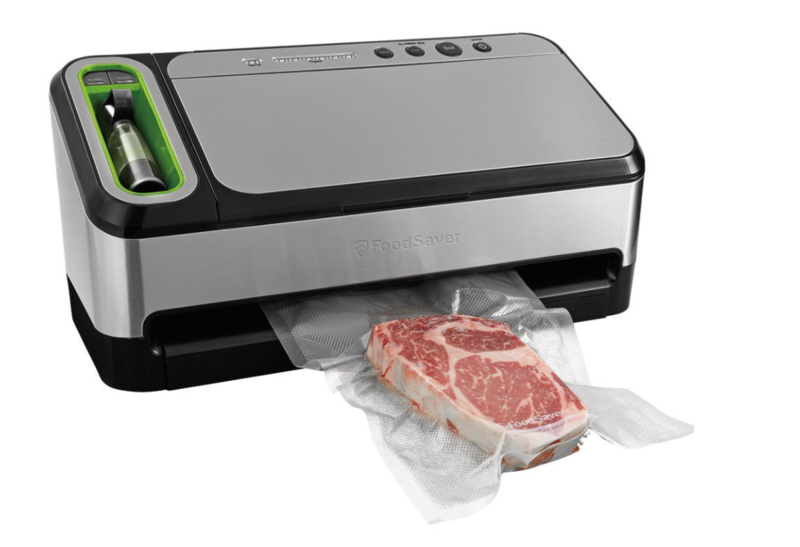 I’m eyeing this for a few cooks on my Christmas list as well as my parents who both still work and could benefit from coming home to a well-cooked meal (plus, I know my Dad will think the blue-tooth programming is super cool). Psst – If you’ve got a real food-lover or chef on your list, this gorgeous Sous Vide is also $50 off as part of Prime Day. This one may not seem as exciting but, trust me, you’ll be amazed by how much this little guy can do- plus if your husband is anything like mine, he’ll love it. From your deck and driveway, the exterior of your home and all those plastic outdoor (or indoor) toys, this thing will have your whole life clean and shiny in no time. I am not proud to say that we waste a lot of food in our fridge, but it’s the truth and I’ve been waiting for this to go on sale to help get my act together! Don’t miss all the accessory bags on sale too! I’ve been hesitant to get in on the Kids’ Dot but the features are starting to really sway me- so much so that I’ll be getting one for each of my older kids today and saving them for Christmas. What changed my mind? All those audiobooks, awesome parent controls so I can turn it off, and the ability to use it as an intercom with my kitchen Echo so I can stop yelling upstairs to my kids! And if you need an Echo of your own, those are on sale too. The Echo was the #1 best seller of Prime Day last year and will likely be this year as well because today and Black Friday are the two days of the year when you will get the best deals. We have our Echo in the kitchen and have a Dot in our home office as well as one upstairs. These are great to have for using with Alexa-enabled Smart Home features. I love that I can ask Alexa to adjust the thermostat or turn off my son’s bedroom light when I’m anywhere in the house. This is some amazing Black Friday level pricing on the Amazon Echo. If you’ve been waiting to nab one, now is the time. We got ours on Black Friday last year and we use it so much – for streaming music and audiobooks, answering the kids’ homework questions, getting recipes or substitutions while making dinner, the list goes on and on… Plus there are tons of fun kid-friendly “skills”. My kids are currently obsessed with the Choose-Your-Own-Adventure style audio book called The Magic Door. I know so many families who have put in the ring doorbell and absolutely love it. So great for monitoring packages being delivered, keeping an eye on your house when you’re away, making sure the kids got home from school ok and more. If you want more of a full home security system, you can pair the Ring Doorbell with Amazon’s indoor security system which also works with Alexa and is also on a big sale today. Use it for home security, as a baby monitor, or whatever else you need. If you think you could use it, grab it at this incredible price! 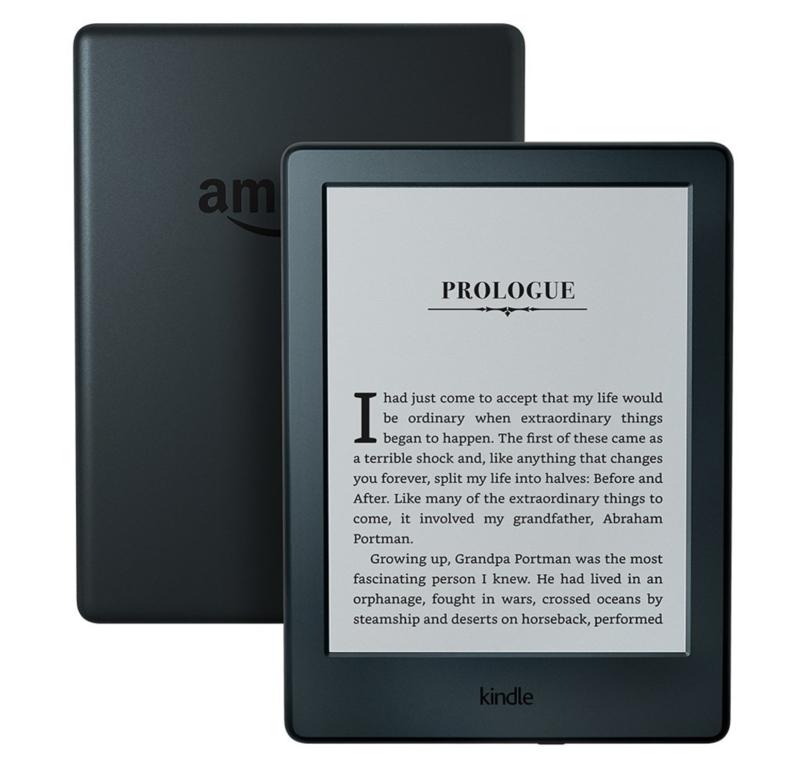 I adore my Kindle Paper White – if you don’t have one for yourself, I highly suggest it and this year it’s on an even bigger sale than last year. The anti-glare screen and automatically adjusting backlight mean I can read outside on a sunny day or lying in bed at night. It’s so incredibly convenient always having my books on hand with this ultra light weight device. Plus, I stopped getting headaches once I switched from reading on a tablet or my phone to this. I love the ability to easily checkout thousands of e-books from the libraryfor the Kindle. (Note: This has recently become super easy with the new Libby app which lets you checkout and download straight to kindle with one tap). Vocabulary Builder – When kids look up a word in the dictionary, it is automatically added to a group of flash cards for practice learning the definition later. No Harmful Blue Lights – Recent studies have shown that evening exposure to blue light from backlit screens like tablets and smartphones can suppress the body’s production of melatonin, a naturally occurring hormone that helps the body fall asleep. Because the Kindle display emits no light, your kids can read before bedtime without losing sleep. Stays Charged for Weeks Instead of Hours – Because there’s nothing worse than a device that isn’t charged when you need it! No Power Struggles – Yes, I can totally use the parent controls to turn off videos and apps on the kids’ Kindle Fires, but there is definitely something to be said for a device that is for reading and reading only. It means I won’t have to go through the mean mom routine of saying no to apps when I want them to just read! or Buy 2 and Save $100! This is also a great time to nab your kids’ their own Kindle Fires with the sale on the latest Kids’ Edition. 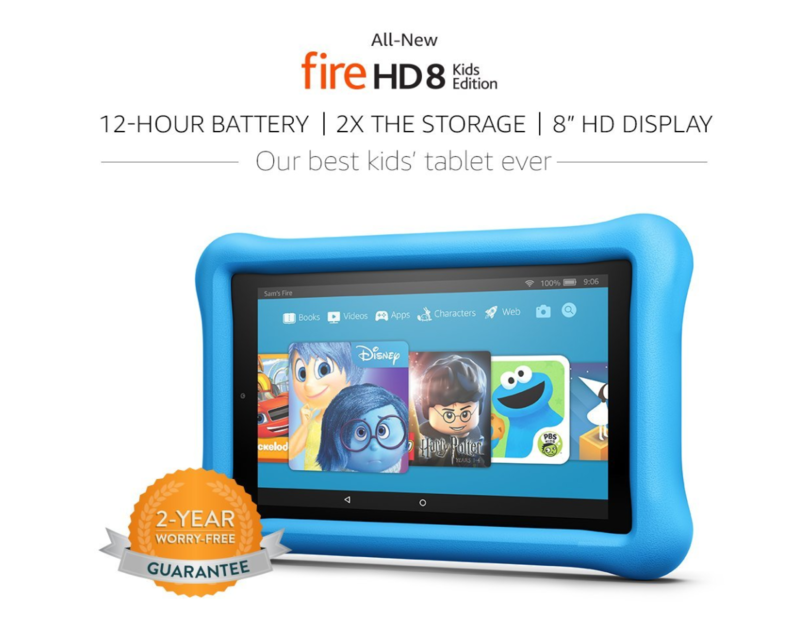 It sets the industry standard in parent controls for kids tablets. Plus, the Worry-Free 2 year guarantee and 1-year Kindle FreeTime membership make the Kids’ Edition a great idea for parents. I also REALLY appreciate that the all-new Fire HD 8 has TWICE THE STORAGE! That’s it for now but I’ll be updating this page through midnight tomorrow when the sale ends so be sure to check back often!